Summer is nearly as hot as the Bozeman real estate market. If you looking to buy or sell a single family home in Bozeman MLS Areas 1 & 2 in the $500,000 to $750,000 range it is smoking hot. 74 homes have closed between $500,000 to $750,000, with another 33 pending, for a total of 107 properties compared to 20 at the end of the 1st Quarter 2015. Closed transactions are averaging 135 Days on Market (DOM). Even though inventories in this price point have increased to 86 listings compared to 61 at the end of the 1st Quarter, it is difficult to find homes meeting buyers’ wish lists, with new homes coming on the market frequently selling in their first week of listing. Schlauch Uhlmann Platinum Properties (SU Platinum Properties) specializes in single family homes priced $500,000 and above, and residential land, in MLS Areas 1 & 2. MLS Areas 1 & 2 encompass a big circle stretching from the mouth of Gallatin Canyon on the south west corner to Four Corners, then north to Springhill (not Belgrade), into Bridger Canyon and Jackson Creek, over 1-90 to Trail Creek, and from Livingston Pass along the Gallatin Range back to Gallatin Canyon. We know and love this area from its varying ecosystems, amenities, values, inventory, previous sales, and what makes each property unique. This report covers our target market, areas 1 & 2, homes $500,000 and above and residential land listings of 5 acres or more. We compiled the information from data available on Gallatin Association of Realtors’ MLS service on June 29, 2015. Please note: Not all real estate transactions are recorded in the MLS, and the data changes with each listing or transaction. This report should provide those interested with better insight to a fluid and volatile market. The Bozeman market continues to show its strength. In single-family homes priced $500,000 and Above, $83,218,623 has been recorded in closed volume for 2015, with sales averaging a whooping 96% of List to Close Price. 112 properties have closed by June 29th, with 55 pending sales. 76% of closed transaction are for homes under $1 Million, and 90.5% of closed transactions are for homes priced $1,250,000 or below. The market cools off for properties priced $1,250,000 and above. However, if previous years sales trends hold true, the majority of upper end homes go under contract from the late summer to early December. As of June 29th, only 3 properties over $2 Million have closed, with all 3 of them being South Side properties, with 2 closing right at $2 Million, and both of them having been on the market for many years with significant price reductions. Currently, 2 sales are pending in the $2 M to $3 M range, both South Side properties. The highest closed home this year, at $3.9 Million, was primarily a land sale of 233 prime acres bordering public lands. The core Downtown Bozeman area, encompassing both North and South Side neighborhoods close to Main Street, continues this year’s trend of being the “hot” zone for sales, posting the highest number of closings—38—with homes averaging 128 DOM. The South Side is a close 2nd, with 31 closed transactions and the highest volume of closed sales, with $29,779,369 changing hands and home sales averaging $1,014,534. The North Side has 26 sales, with SU Platinum Properties posting the highest sale of $1,225,000. There have been 7 closings in Four Corners, with SU Platinum Properties acting as Dual Agents for the highest sale, which closed at $805,000. Volume for Four Corners of $4,187,494 is below the $4,670,000 volume thus far in 2015 for Bridger Canyon, which has had 5 closings in 2015. Three of the Bridger Canyon closings were under $1 Million, with $1.3 Million the highest closing. Homes in Bridger Canyon are below the average ratio of List-to-Close price, averaging 87% compared to the overall market average of 96%. SU Platinum Properties currently has the highest pending sale in Bridger Canyon for a $1,675,000 listed property. Inventories have increased! There are currently 220 homes listed in MLS Areas 1 & 2, priced $500,000 and above, up from the 173 listed at the end of the 1st Quarter 2015 and 145 listings a year ago at this time. However, listed-to-closed inventory ratios have dramatically changed, decreasing from 5.24 listings for each home sold at the end of the first quarter 2015 to only 1.3 homes available for each sale now. The most pressure is in the $500,000 to $750,000 range. There are very few choices. More than ever, buyers need a qualified Realtor to help navigate the market. Market research indicates Bozeman will continue to grow in population while quality homes become costlier and more difficult to find. If you’re considering buying, now is the time! Vacant land for single family residents on 5 or more acres remains the slowest segment of the real estate market to rebound. Although sales have increased 130% from the end of the 1st to the 2nd Quarter 2015, the closed transactions at the end of this 2nd Quarter are 23% less than they were at the end of the 2nd Quarter in 2014. The good news is that the ratio of List-to-Closed Price on transactions continues to inch upwards, with it now at 92%, compared to 91% at the end of the 1st Quarter and 86% at the end of the 2nd Quarter in 2014. The 23 closed land transactions this year have totaled $8,099,250 in volume and represent 336.6 acres of land changing hands, averaging $24,062 per acre. SU Platinum Properties sold 2 of our listings, just under 10% of the recorded sales, which is one more than any other agent in the valley. 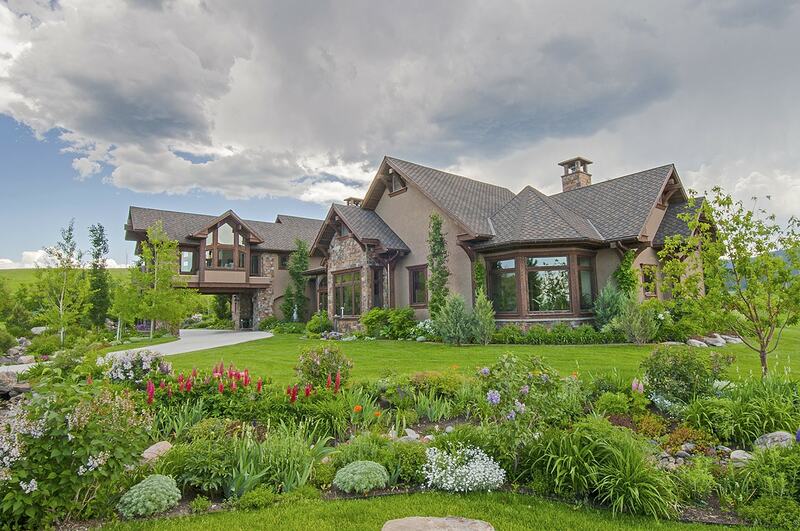 Bridger Canyon has 39 listings at this time, with combined asking price of $19,195,400. Four properties have closed in the Canyon, with total volume of sales being $1,622,000. The highest land closing in Bridger Canyon is $710,000 ($26,296 per acre) for 27 acres with a barn and a pond. Gallatin Gateway, the South Side, North Side, and Trail Creek each have between 25 to 27 land listings with Trail Creek being the place to buy if you are seeking comparatively inexpensive land. Five properties have closed in Trail Creek averaging $10,750 an acre. We believe land in Gallatin Valley is finite and precious and that it will become increasingly valuable and rare. It is a solid investment, and if you are considering buying land in Gallatin Valley, no time is better than now. comments, or real estate needs. We are focused on YOU.